hancock's house of happy: A Free Kawaii Christmas Tree Cross Stitch Chart to Wish You All the Best! 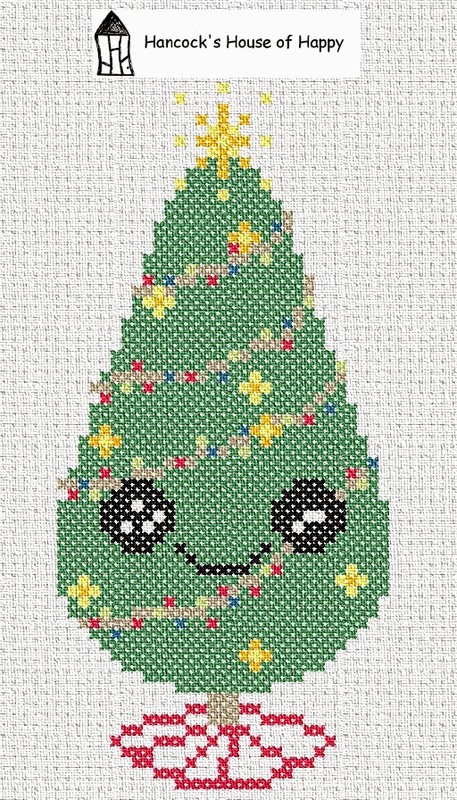 A Free Kawaii Christmas Tree Cross Stitch Chart to Wish You All the Best! Because, let's face it. 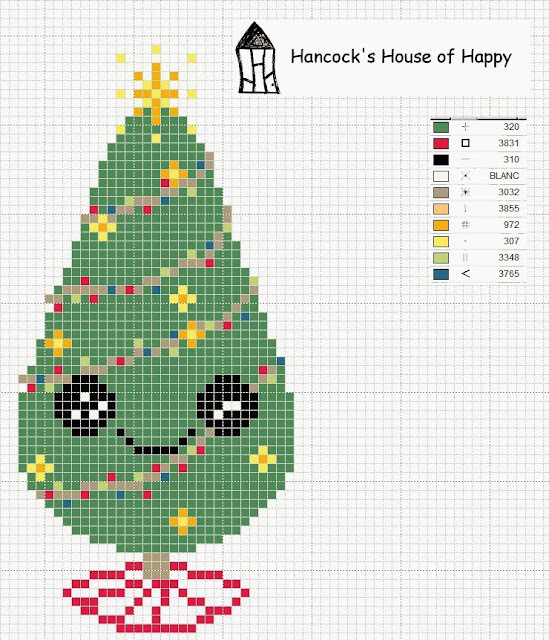 I would not be doing this if it were not for you guys that stop by here to look at and share my crazy cross stitch scribblings. And you even STITCH some of them. And SHARE your work with here! So I would like to wish you all the best of the non-denominational festive season with the cute little fake tree (much like my own) who is all got up in her best shiny. Don't forget to sign up for the newsletter if you have not already. Lots of good stuff coming next year. Also there might be a special Christmas edition in which I will share my family's ancient and secret recipe for gingerbread cookies. Or I might just get drunk on eggnog, fancy nuts, and tinsel. Haven't decided yet. It could be both so stay tuned! To get the chart: right click on the image below (or tap and hold on a tablet for options) and Save As!